Like most every year, there are no real guarantees in the boxes as far as “hits” go. There are sometimes chances for autographs (although not this year that I could see) and the occasional manufactured patch card, which I will get to later. The real meat of the boxes is the insert card selection. There is a ton. We busted three boxes and got a good sampling of what the set has to offer. Oh, and in case you are wondering, the chances of completing a base set, even the 500 regular cards out of three boxes, is slim to none and slim just left town. In my estimation (and math isn’t my strong suit), without duplication, you would need at least three boxes to complete a base set. You shouldn’t find duplication within the same boxes, but within the same case is very common. 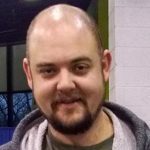 Let’s talk parallel cards. Yes, the dreaded parallel card. The bane of master set collectors or player collectors’ existence. There is one Retro Parallel card in each pack. The design on the parallels each year generally focuses on the spirit of a past design. This years set reminds me of some sort of hybrid 1968-69 design, where the cards are sideways. Maybe someone else has a better description but that was the first thing that came to mind. Like the base, there are Marquee Rookies, League Leaders, Team Checklists, and Season Highlights in here too. Next come color variant borders. There are Silver Border parallel cards that fall about 1:3 packs. These look like the base cards but the border is full on silver. Otherwise, there is not a difference. 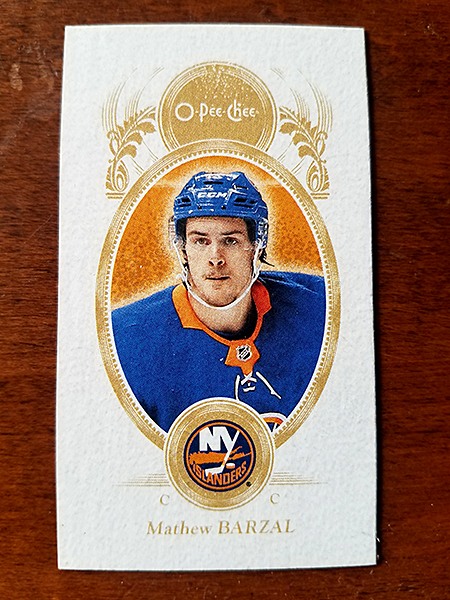 There are also Gold Glossy parallels that fall about one per box. These, again are the same as the base cards but with a gold border. 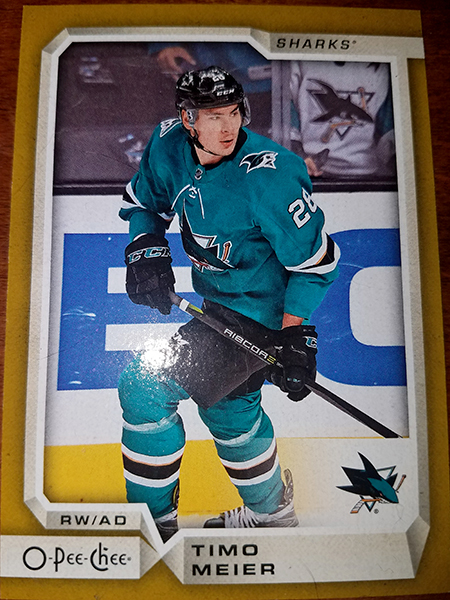 They also have a gloss sheen to them which is actually quite underwhelming when you consider past years have included high gloss, platinum rainbow parallels. 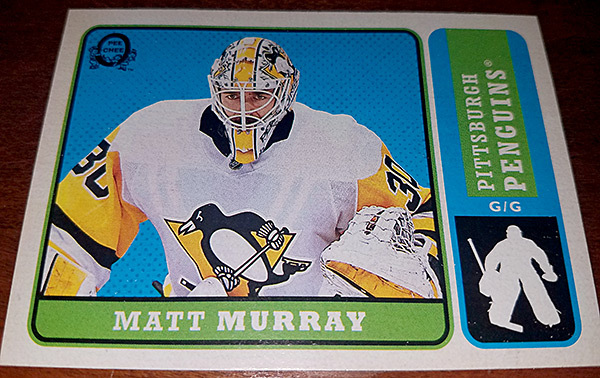 Finally, there are Retro Black Border parallels that are numbered #/100. 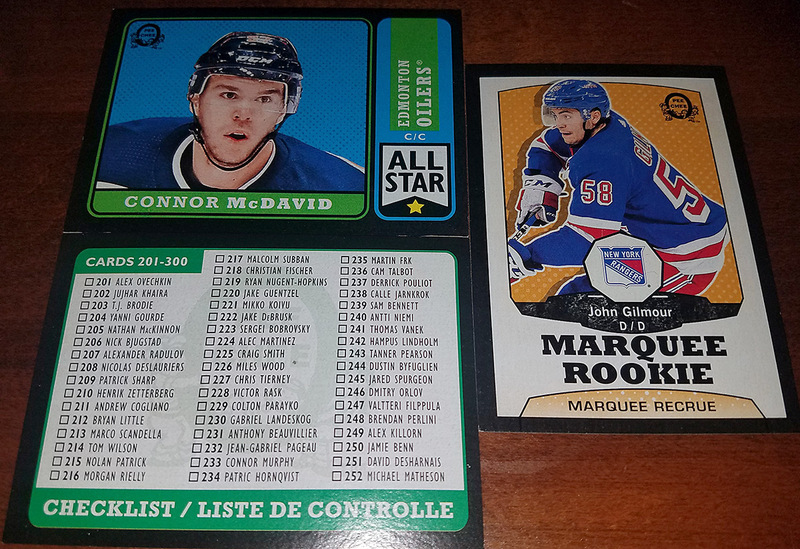 These are completely randomly inserted into packs. The first two boxes we opened had three each. The third box had at least one in each pack, sometimes two or three. Not sure if that is some kind of mega-box, hot box, or error, but it was kind of cool. 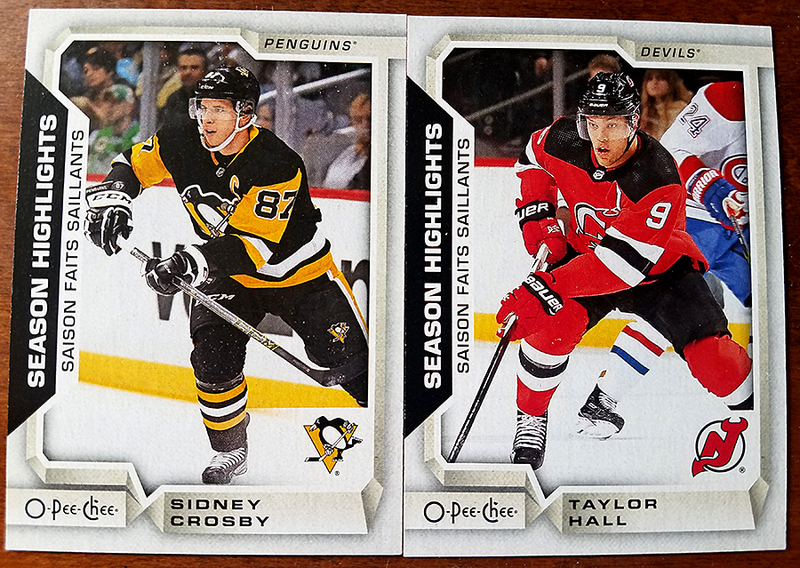 I’ll admit, I’m a sucker for mini cards and 2018-19 O-Pee-Chee features a 77 card mini set of a select group of players. Most boxes will have about six of these. But there are also short print versions that come about one per box, maybe less. 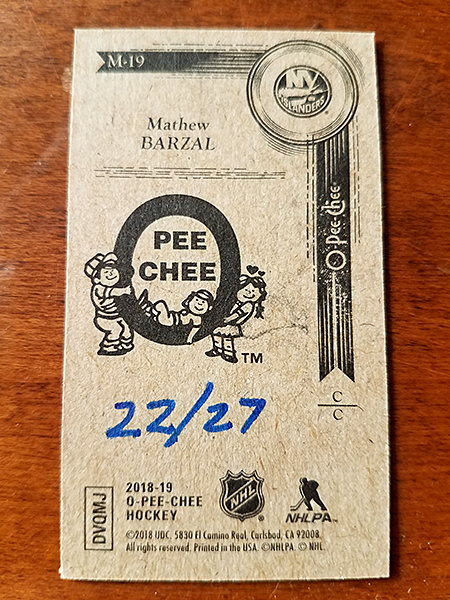 There are even hand-numbered rare versions (#/27) that feature different backs containing the old school O-Pee-Chee logo. 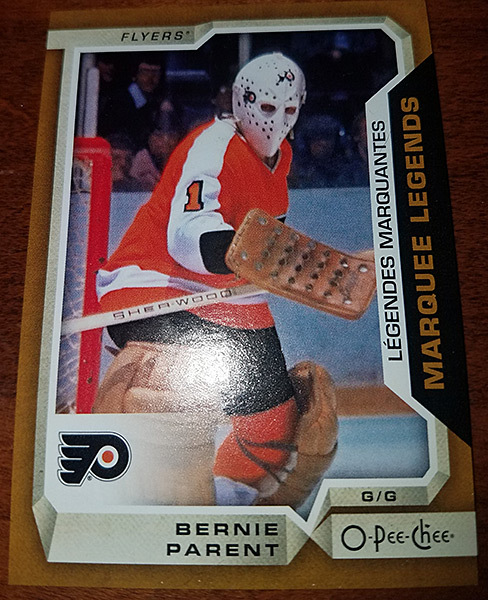 One thing that we found interesting was a bronze border Marquee Legends card of Bernie Parent. It was different than the rest of the cards in the set, had more color to the border, and had a glossier finish. 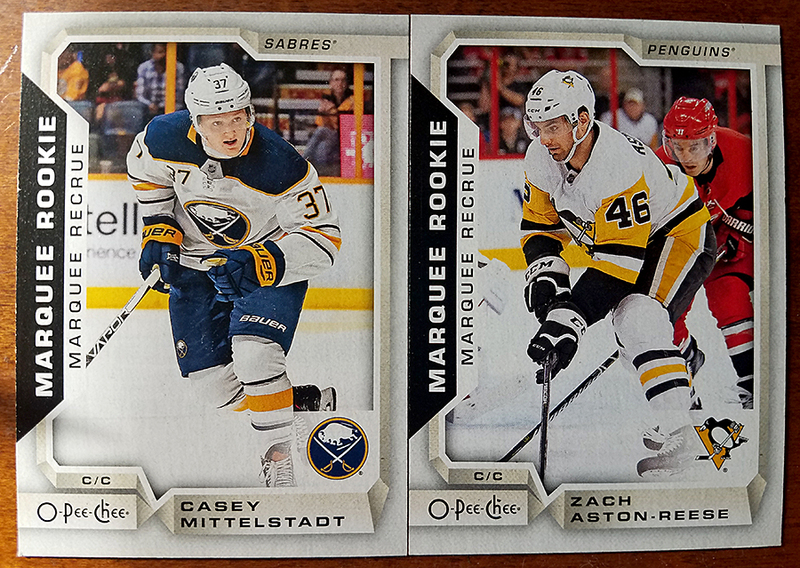 Turns out these are one of Upper Decks “hidden” insert sets that they didn’t initially advertise but that collectors can pull from hobby packs. There was a time in the not too distant past that these were part of the SP high number cards in the base set, but apparently not any more. There are ten of these in all but I’m not really sure what the odds were to pull one. 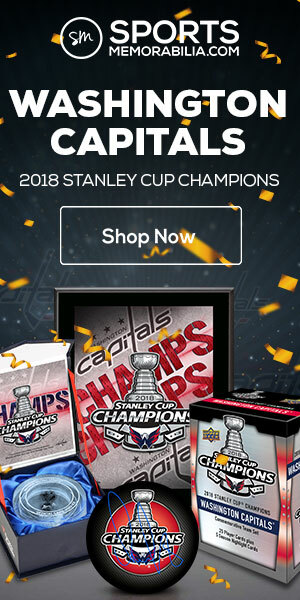 We didn’t get any of the SSSSSP Award Winner Retro cards or the Cup Captain card of Alex Ovechkin (although last year after about six boxes, we did pull a Crosby Cup Captain). Oh, and yes I meant to use that many “S”s in my description because these have always been unannounced and virtually impossible to find. Finally, there are everyone’s favorite manufactured patch cards, which we were unable to unearth any. 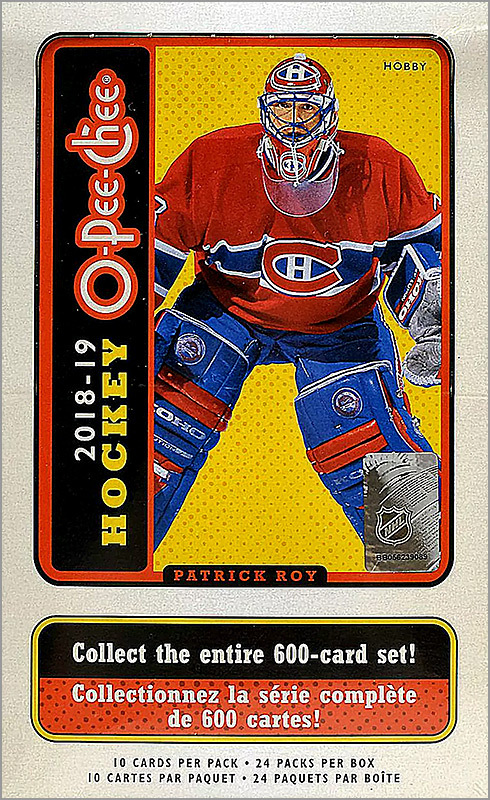 Many collectors thought last year was the end of the patch card run as Upper Deck had continued the series of team logo patches for a few years in the O-Pee-Chee product. But never fear, “fake patch” lovers! They are back with new subject material. 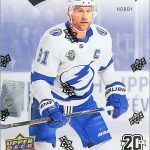 This year, Upper Deck has put out 100 different patch cards featuring Trophy Winners, Hall of Fame Logos, and Logo Updates which feature a limited selection of teams that have made tweaks to their logos or just didn’t exist before, like the Vegas Golden Knights. 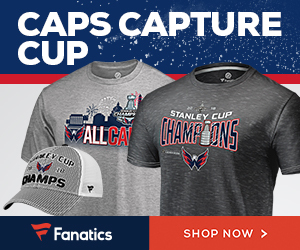 If you are chasing these, good luck. The odds on some of these cards are ridiculous, ranging from an overall rate of 1:96 packs but individually sometimes 1:937, 1:1,687, 1:2,250 even 1:18,750 for the SP HOF Logos. If you are looking for super mega rookie auto patch cards with DNA samples embedded in them, this is not your bag. 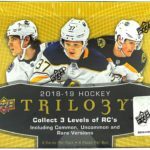 High end collectors and hit chasers are going to most likely want to shy away from 2018-19 O-Pee-Chee. But for set collectors, like me, this is a great product. I’m definitely not a master builder by any means but I like to be able to at least put together the base product. 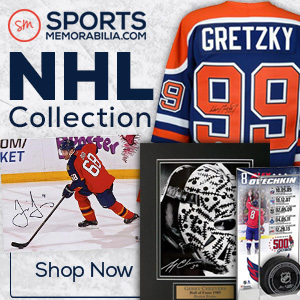 O-Pee-Chee is the granddaddy of all set collector products and is a challenge for any collector to complete. But I like the self-inflicted torture of chasing it down. The design is solid this season and the chance at some interesting, and very rare, cards exists if you are up for the challenge (and your wallet can handle it). 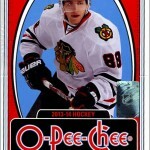 Besides Upper Deck’s flagship set of Series One and Series Two each year, O-Pee-Chee is my favorite annual release. 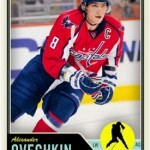 I hope Upper Deck keeps churning this product out. 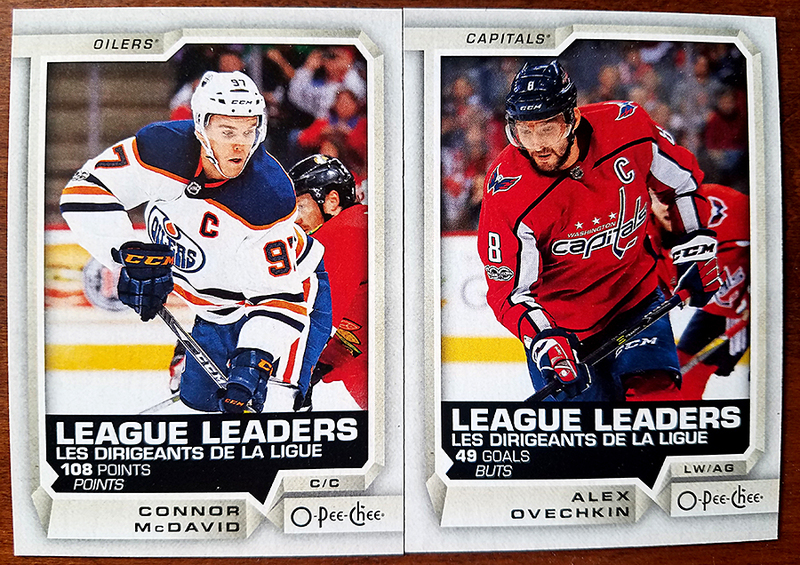 I always enjoy the OPC cards. Thanks for the detailed summary. I am not a fan of the parallels either. The retro set is very similar to the Topps CFL 1964 design. 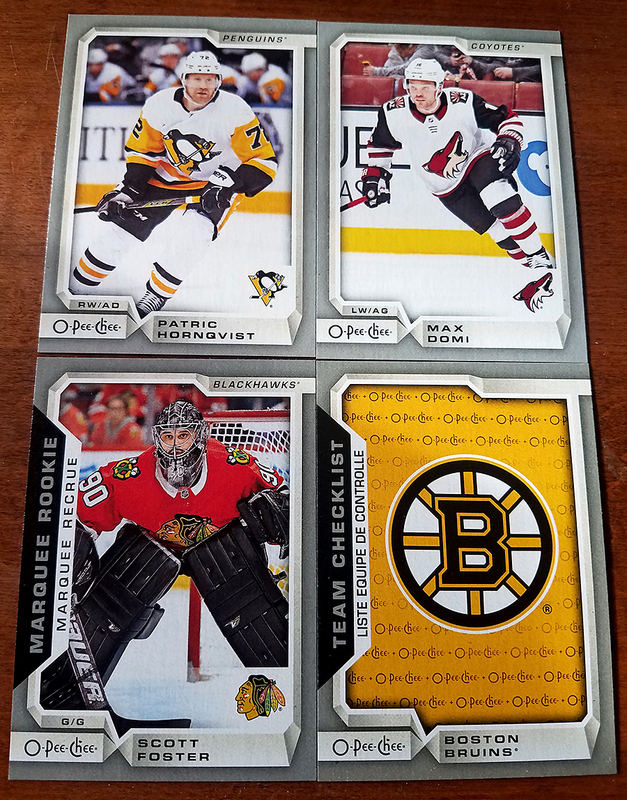 One or two parallels are expected these days but there is base, silver, gold, retro, retro black, as well as mini parallels with back variations. For a low end product, it’s a bit excessive. There is no such thing as a low end product anymore. This set, like every other set out there today, costs an insane amount of money to piece together. $210 for an outside chance at a base set of 500? No thanks. Well that is certainly a concern for many. I like chasing the set build. But to each their own. Just opened our first of the season and noticed that at top right, sometimes it shows the team name and other times the city name. Any idea what’s up with that? The Marquee Legends, Retro Award Winners, and Cup Captain card were all unannounced. Those were the only parallels that weren’t on the original sell sheet. I’m not sure if there was an intentional variation or not. I grabbed a stack and shuffled through and the only team I noticed that on is the Colorado Avalanche. All mine have the team name, Colorado has the city. What others are you showing? I was going to post a pic but I guess I can’t. Besides Colorado, a quick flip through a stack shows me a Nashville too.